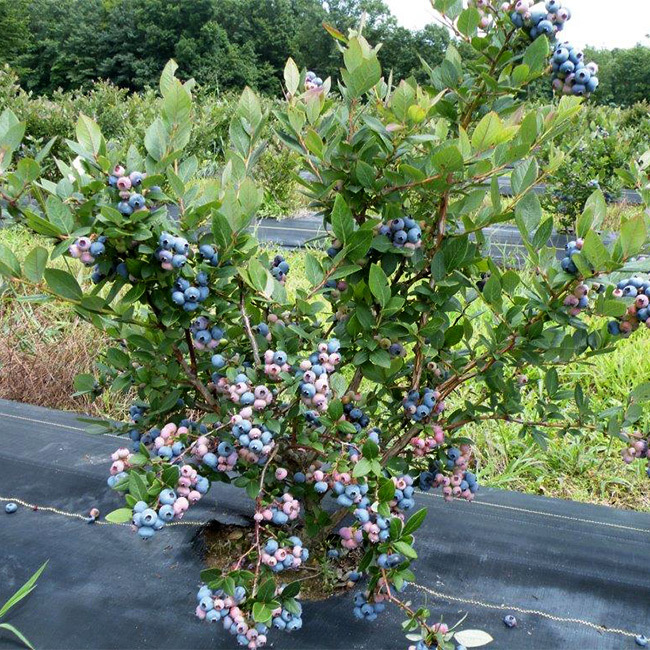 Our northern varieties have all been triple-tested for winter hardiness, delicious flavor and high yields. 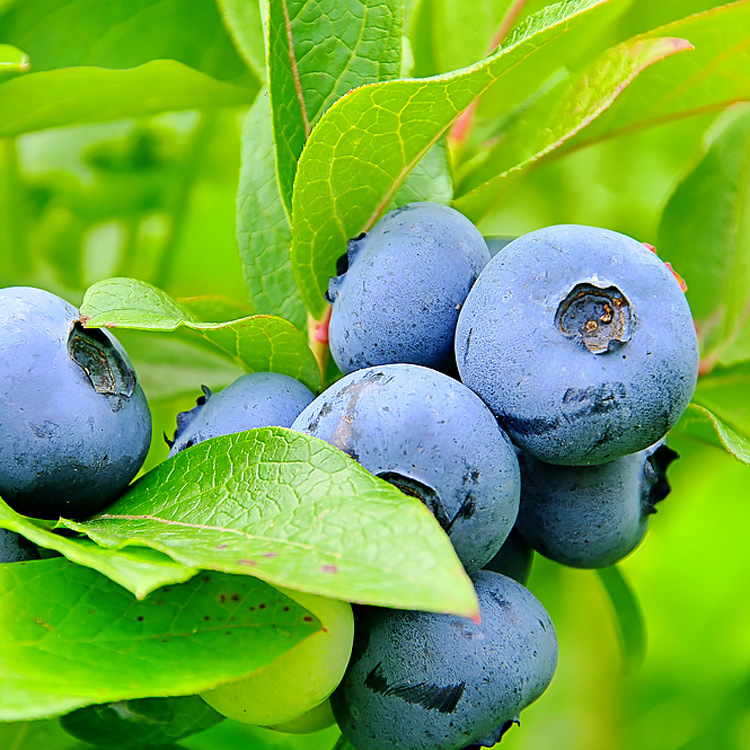 Also, they have different maturity seasons, ensuring a continuous crop of fruit all summer. 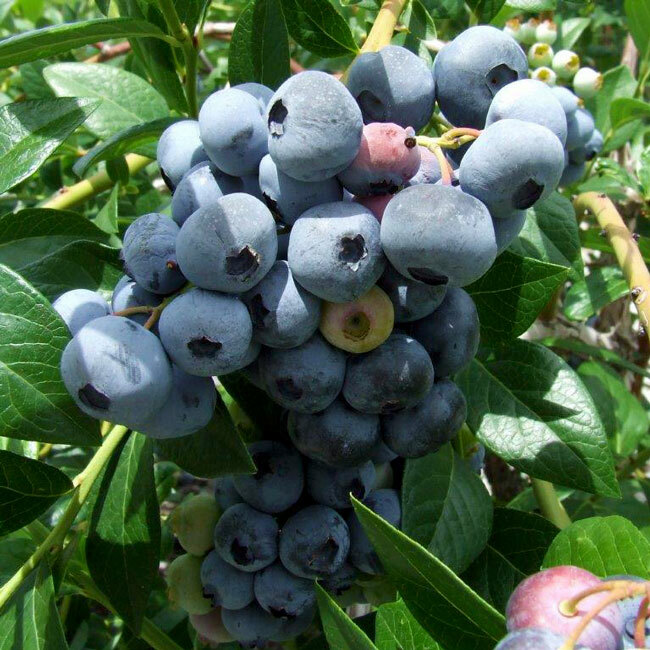 These are the largest, sweetest, juiciest blueberries you can grow. 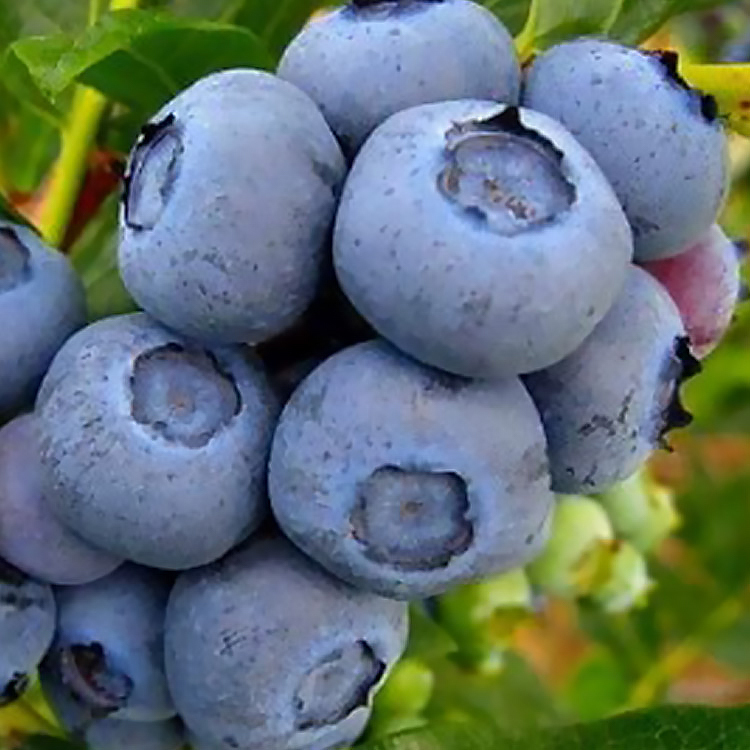 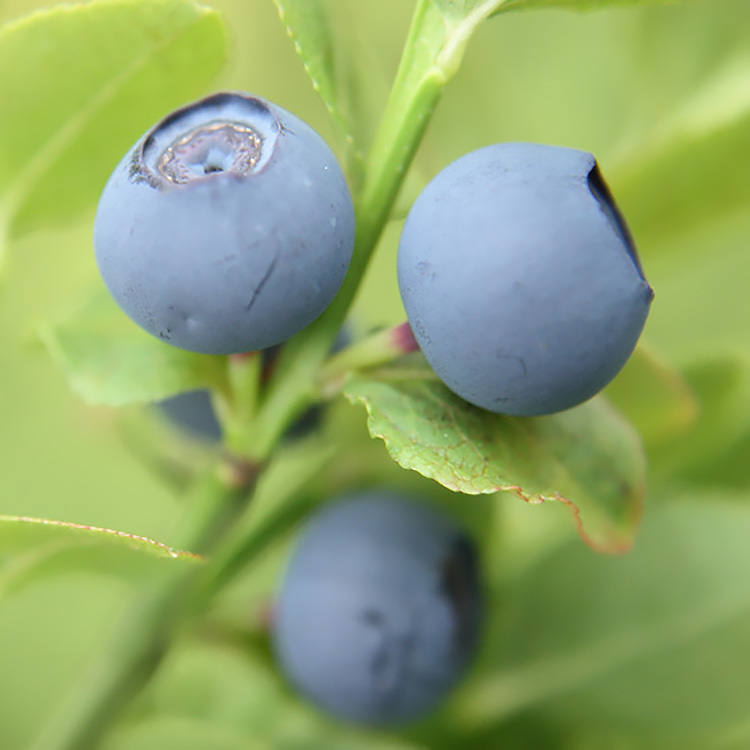 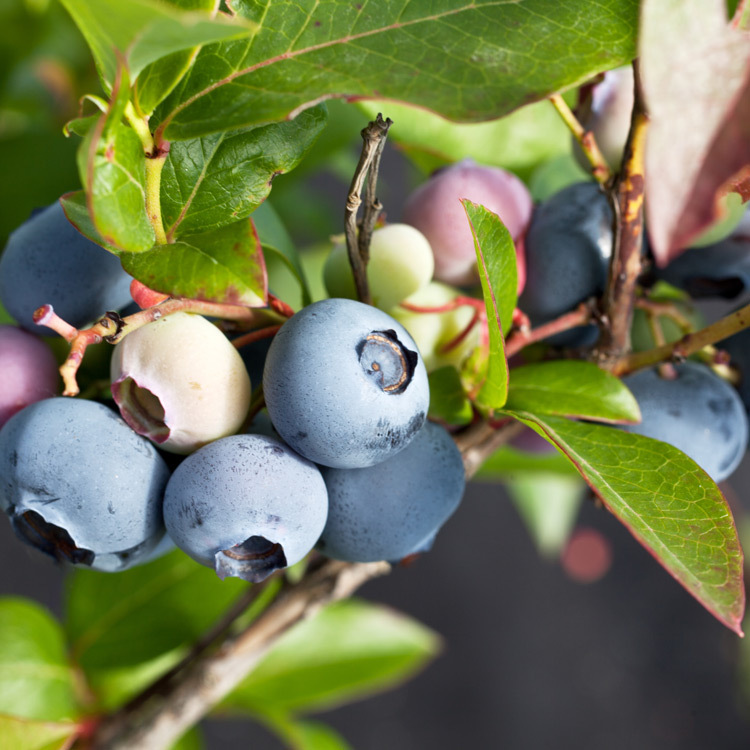 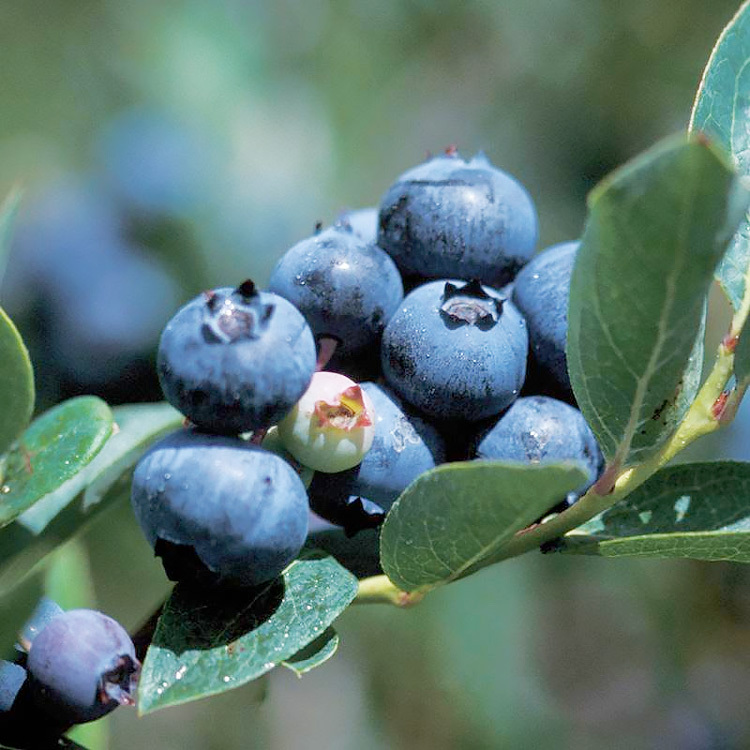 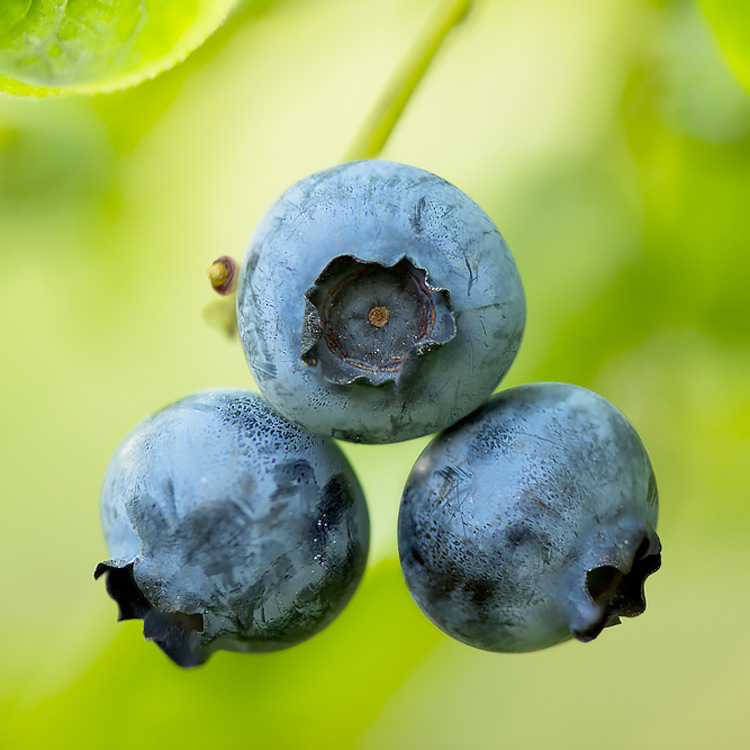 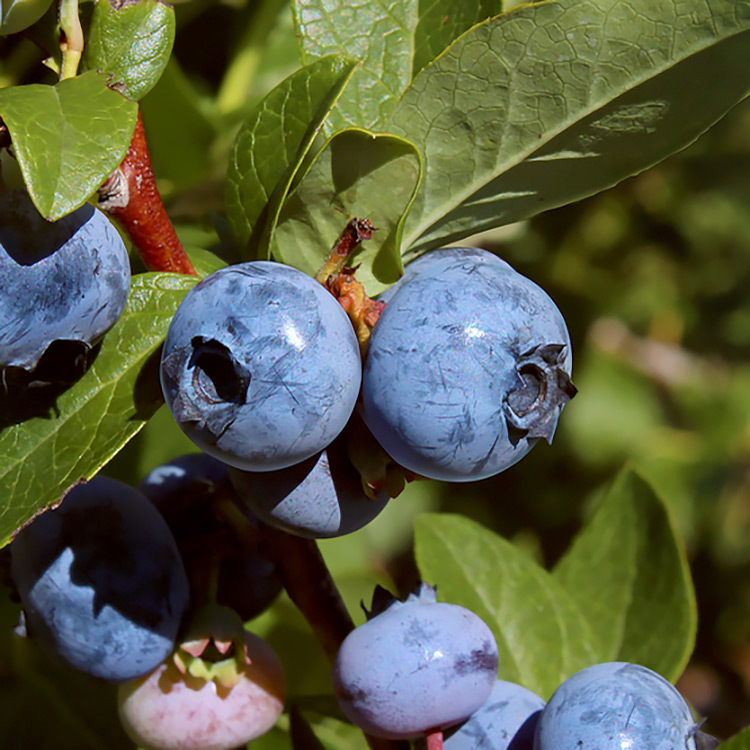 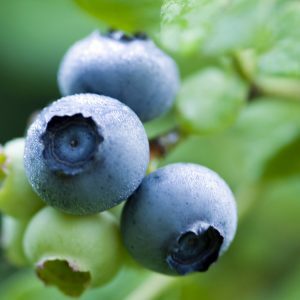 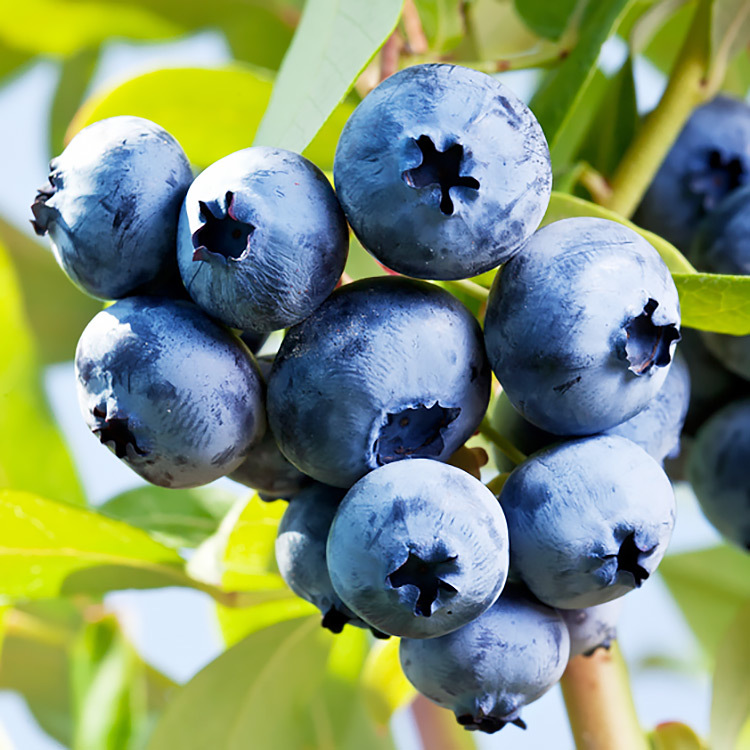 Indeed, Blue Crop grows fruit as large as cherries – without the pits! 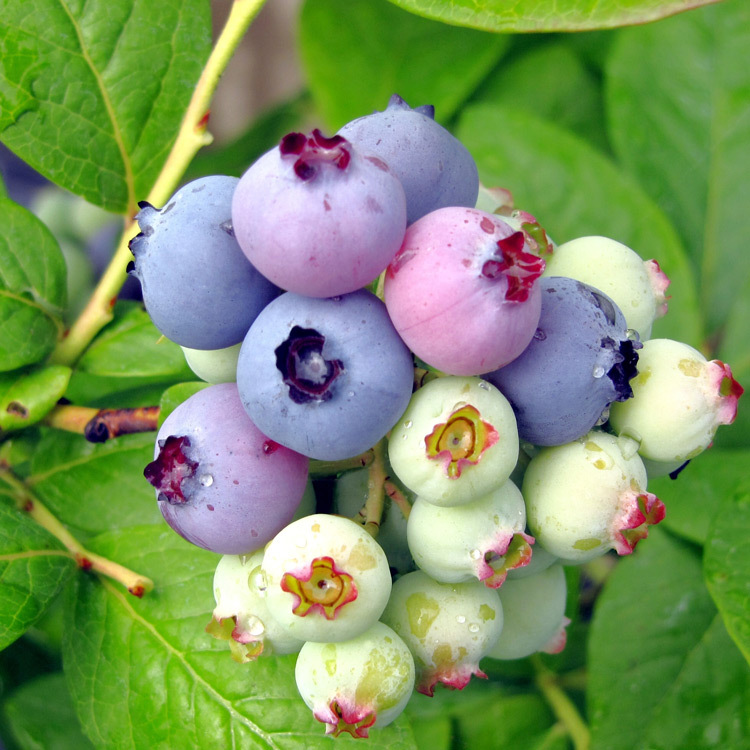 All varieties are self-pollinating but set largest crops from cross-pollination.